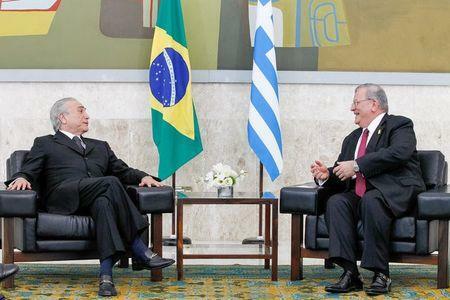 RIO DE JANEIRO (Reuters) - A Rio de Janeiro policeman confessed to murdering Greece's ambassador to Brazil in what investigators on Friday called a "cowardly act" carried out at the direction of the diplomat's Brazilian wife with whom the officer was romantically involved. 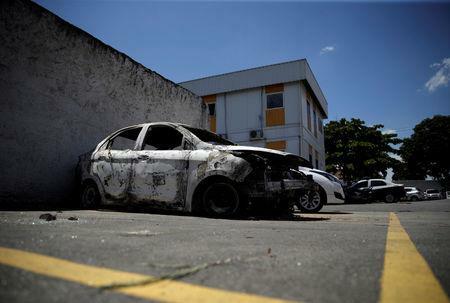 Officer Sergio Moreira, 29, confessed to police on Friday that he killed the ambassador late Monday night in the Rio de Janeiro home the Amiridises owned in Nova Iguaçu, a hardscrabble neighborhood in Rio's sprawling, violent northern outskirts. Both Amiridis' wife and the officer are in custody. Police have also detained a cousin of the officer, who Magalhaes said acted as a lookout while the crime was committed and helped carry the body from the house with the promise that he would be paid 80,000 reais ($25,000). "This was a tragic, cowardly act, but we worked tirelessly to crack this case as soon as possible," Magalhaes told a news conference. 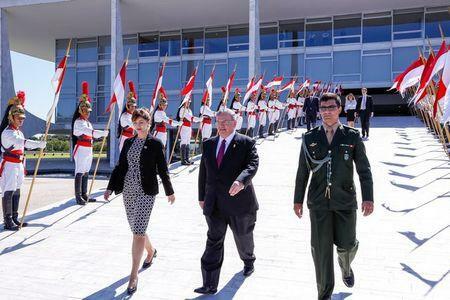 Magalhaes said that blood was found on a couch inside the home and the ambassador was likely stabbed to death as no shots were reported in the area. However, he said it was not yet possible to determine the exact cause of death because the policeman had burned the ambassador's body in an attempt to cover up the crime. The neighborhood where the car was found is dominated by powerful and politically connected armed groups comprised mostly of off-duty or retired police and firefighters who control vast areas. The armed groups have grown for several years and often curry favor with local politicians by promising to deliver votes from entire neighborhoods as long as authorities allow them to carry out their crimes.